Years ago most people used a ball mice, in most cases together with a crappy cloth mousepad that you got somewhere for free. 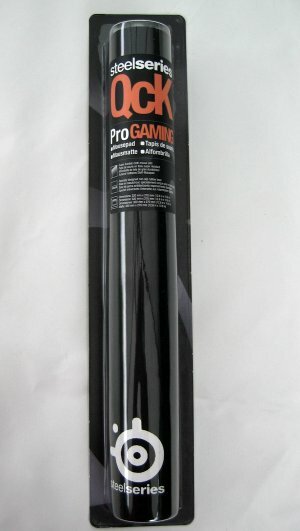 Together with the rise of optical mice, plastic mousepads become more popular among computer enthusiasts and gamers because these pads generally offer much better tracking and last much longer. It was more than five years ago since I've last had a cloth mousepad in my hands when I got the opportunity to test Steel Series's QcK mousepad, a premium cloth mousepad with a non-slip rubber base. This is the third review of a mousepad from SteelSeries on DV Hardware. In 2002 I took a look at their original SteelPad which is made out of aluminum and in 2004 I checked out one of their first plastic mousepads, the SteelPad 4D. In this review I'm taking a look at the SteelSeries QcK mousepad, I suppose that besides the differences in size this model is very similar to the QcK mini and the QcK+. The mousepad arrives in a small stylish package. As you can see the mousepad arrives rolled up, contrary to hard plastic mousepads this cloth mousepad is very flexible. 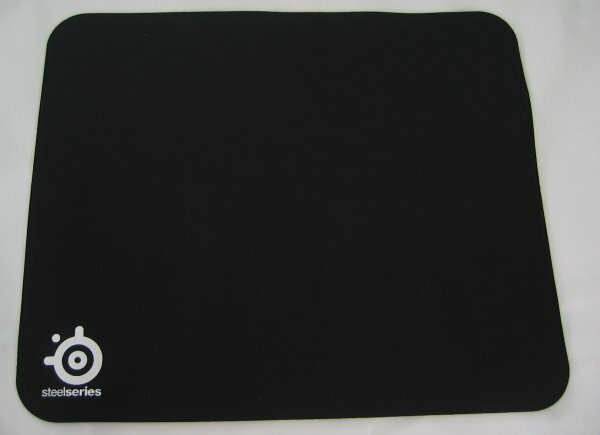 The mousepad's front is made out of black cloth material and features a small SteelSeries logo in the bottom left corner. The mousepad's size should be perfect for most people, it's not too small but not too big either. The base of the SteelSeries QcK is made out of rubber and this works really well, while testing the QcK the mousepad never slipped away. The mousepad is a bit thicker than most plastic mousepads but it's still pretty thin. 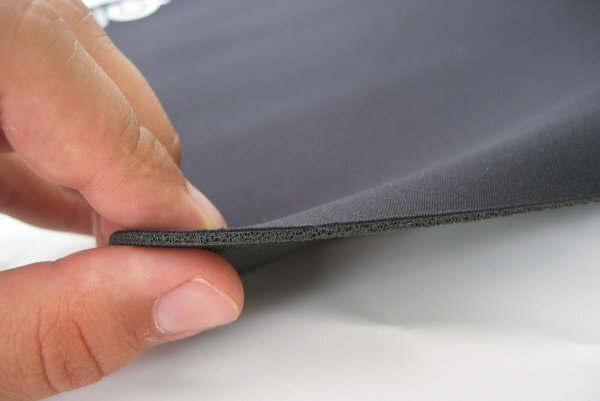 If you prefer a thicker mousepad you should consider the QcK heavy which features a thickness of 6mm instead of 2mm. I've been using the SteelSeries QcK for a bit more than a week now, I have tested it with two mice: Logitech MX 1000 and Logitech V220. 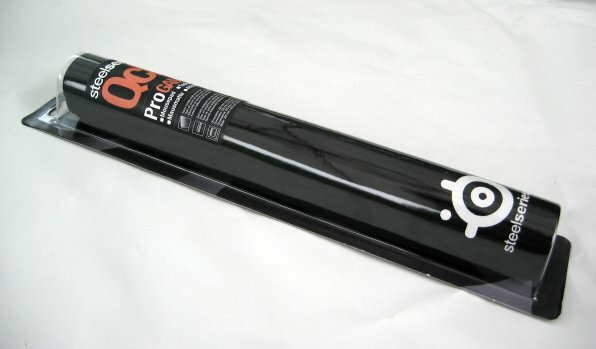 One of the positives things about the QcK is that its cloth surface feels more comfortable than a hard plastic surface. The build quality of this pad is definitely better than all other cloth mousepads I've used in the past but the QcK just isn't as durable as a mousepad made out of aluminum or plastic. 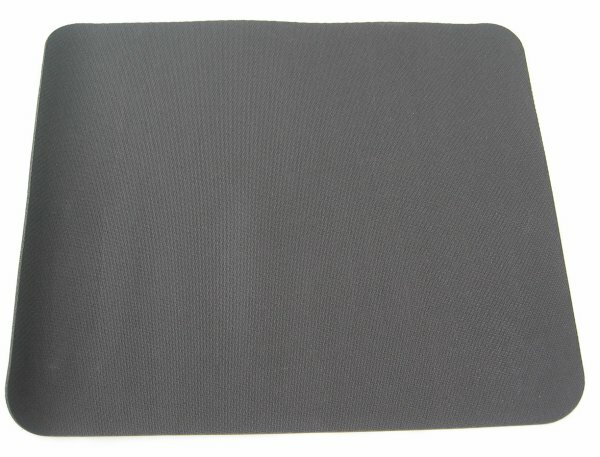 A cloth mousepad gets dirty easily and spilling one of your beverages over it won't do it any good either. Performance-wise the QcK is better than other cloth mousepads but not as good as a good plastic mousepad. 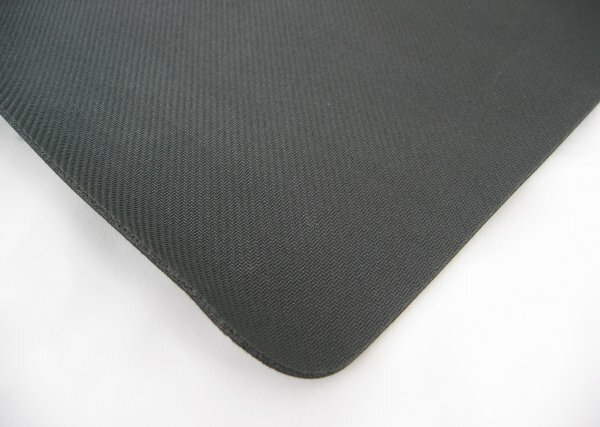 The cloth surface gives more friction and overall the tracking is a bit less smooth than on plastic mousepads. You can buy the QcK mousepads at SteelSeries webshop; the QcK mini costs 6.95EUR ($6.99), the QcK 9.99EUR ($14.95), QcK+ 14.95EUR ($19.95) and the QcK heavy 24.95EUR ($29.95). At a price of 9.99EUR the QcK is pretty affordable, it costs much less than SteelSeries' other mousepads. If you really want a cloth mousepad or want a cheap mousepad I definitely recommend the QcK but otherwise I suggest you spend a little bit more money and get one of SteelSeries' plastic mousepads which are more durable and offer slightly better tracking. - One of the better cloth mousepads available on the market. - Slightly more comfortable than plastic mousepad. - Mousepad doesn't slip away. I give the SteelSeries QcK a 8/10. Very nice review. I just wanted to leave a comment or two as someone who has used the QcK as well as half a dozen other surfaces from various manufacturers. While it probably wouldn't suffer spills very well, the QcK does hold up to month after month of extended gaming. The only wear mine shows is at the very edge of the pad on the side closest to me. With similar amounts of use, I've retired a Razer ExactMat, a Func F Series and an Ulti-mat. All of which show more wear despite being made from "solid" materials. Where I find that it far surpasses any plastic, aluminum or glass surface that I've tried is that it never gets gritty, and doesn't eat the feet off of my mice. The Razer mat listed above was the worst for that. I had to replace the mouse glides almost monthly when I was using it. As for control, I don't see any real difference between pads. Using the old style G5, the newer G5 and a G9 mouse with clean glides, all of the surfaces perform well. I have noticed a very slight resistance when beginning to move the mouse on the QcK that isn't there with the other pads. It isn't an issue for me though. Why do I drop it to an 8? It's too thin, and the rubber backing isn't as tacky as I'd like (even though it's never budged.). Those two complaints aside, this is the surface I use most often. It's comfortable, doesn't get clammy on hot days, and costs less than a third what a couple of my surfaces ran.